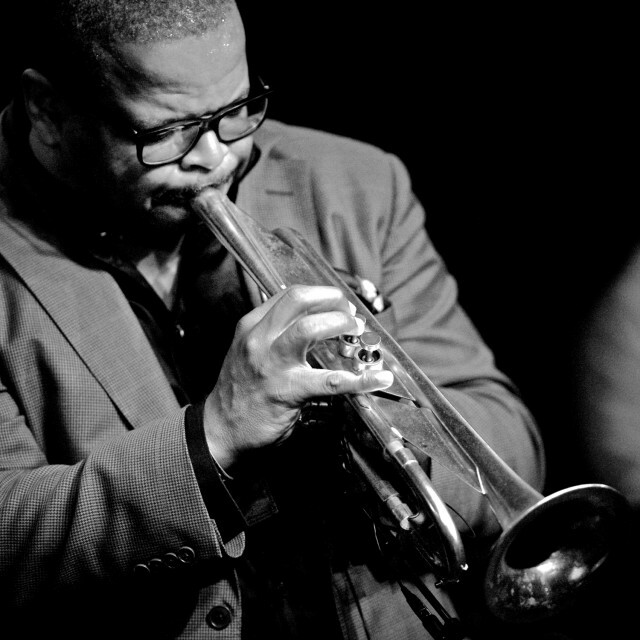 The 2013 Tanglewood popular artists schedule has been updated to include the Terence Blanchard Group, featuring New Orleans jazz trumpeter and composer Terence Blanchard, who first performed at Tanglewood on August 31, 2008. The concert will take place in Ozawa Hall on Friday, June 28, at 8 pm. Jazz already scheduled for this summer at Tanglewood is Grammy award-winning jazz bassist/vocalist/composer Esperanza Spalding with her her Radio Music Society Tour on August 4. Blanchard is renowned in jazz circles as a remarkable trumpeter, composer, arranger, and bandleader. A veteran of Art Blakey’s Jazz Messengers (recommended by Wynton Marsalis as his replacement in 1983), Blanchard began his own recording career in a band co-led with saxophonist Donald Harrison, delivering two albums for Concord and three more for Columbia before launching his solo career with his eponymous 1991 album, also for Columbia. He recorded nine albums for Columbia and Sony Classical. In 2003 Blanchard signed with Blue Note Records where his career jettisoned to a new level of excellence, beginning with Bounce and then two years later with the Herbie Hancock-produced, Grammy-nominated Flow. In 2007 Blanchard won the large jazz ensemble Grammy for the haunting song-cycle album A Tale of God’s Will (A Requiem for Katrina) and in 2008 won the best instrumental solo Grammy for Live at the 2007 Monterey Jazz Festival (he won the same Grammy in 2009 for Jeff Tain Watts’s album Watts for the track “Dancin’ for Chicken”). In 2009, he recorded Choices, a compelling sextet date featuring spoken-word passages by social activist Dr. Cornel West and guest vocals by R&B soul singer Bilal. Choices was Blanchard’s 18th album as a leader/co-leader and his 39th album overall. While recording and touring his own bands, Blanchard has also becoming a go-to composer for scoring films, beginning in the early ’90s for such films as Jungle Fever (1991) and Malcolm X (1992). He has enjoyed a special collaborative relationship with director Spike Lee, including his 2002 film 25th Hour (for which Blanchard received a Golden Globe nomination), the 2006 HBO documentary When the Levees Broke: A Requiem in Four Acts, and 2008’s Miracle at St. Anna. Blanchard worked on the soundtrack for Cadillac Records (2008) and most recently contributed the score for Lucasfilm’s Red Tails, about the Tuskegee pilots. Blanchard’s work with film has organically spread to working on scores for Broadway productions. Directed by Anna D. Shapiro, The Motherf**ker With a Hat premiered at Gerald Schoenfeld Theatre in New York on April 11, 2011 and closed on July 17, 2011. It garnered six Tony Award nominations. As for A Streetcar Named Desire, set in the gritty French Quarter of 1940s New Orleans, Blanchard says, “I’ve been inspired by Tennessee Williams’s play and the original screenplay. One of the things about the movie—which is great and even historic in terms of our culture—is how much reference there is to music, such as the line ‘and the brass band plays.’ New Orleans had a profound effect on Tennessee Williams, which is why he wrote this play.” This new production starred Blair Underwood and was produced by Front Row Productions, which enlisted Blanchard to develop thematic ideas and arrangements with a New Orleans sensibility. Blanchard was commissioned by Opera St. Louis for his first-time opera, premiering this year. A boxing fan, Blanchard decided to focus on the story of former welterweight and middleweight champion Emile Griffith, a tremendous fighter from the U.S. Virgin Islands who also had to deal with the repercussions of being a closeted gay in the early ‘60s. More about 2013 Tanglewood schedule.